The Map Search tool will be updated soon with a lot of new features and improvements! The current Map Search was becoming obsolete and was not very efficient and compatible with all browsers, so we decided to refresh it completely. The Map Search tool will get a major update soon. 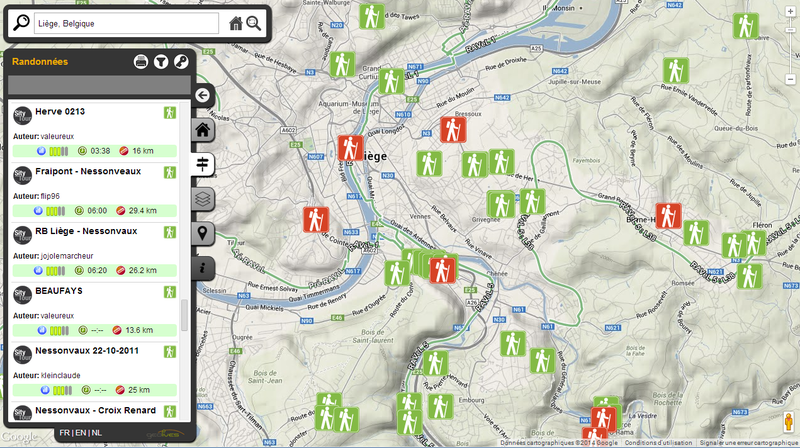 This update will be a revolution for discovering trails on SityTrail ! - Display hiking, cycling networks and so more. You can display only trails you want, thanks to a complete filter allowing you to interact with trail attributes like Difficulty, Distance, Duration and Activity type. 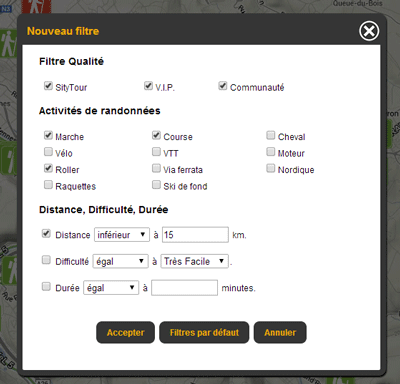 You can also display the trails of SityTour quality, VIP quality and/or from the community. On your smartphone or tablet with one click! In addition, we'll have a completely new feature that will allow you to transfer all the trails you want in a defined range directly to your smartphone or tablet, by clicking juste once. Very useful to prepare your holidays faster!